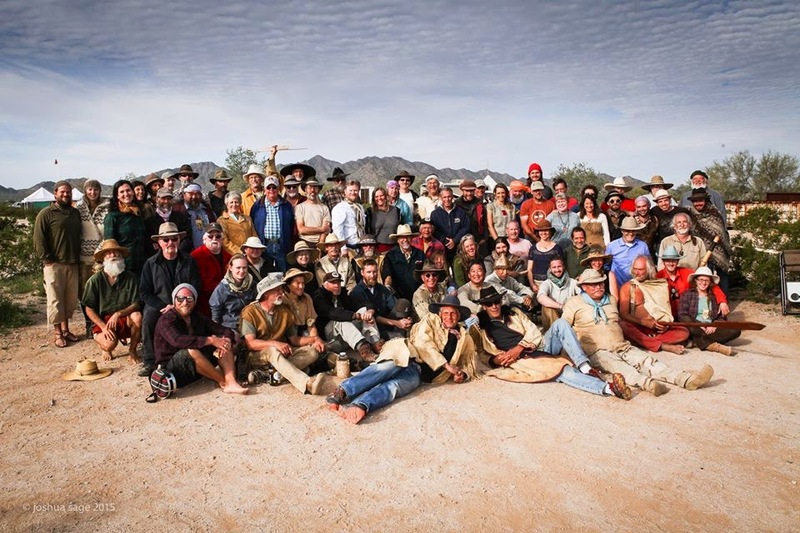 Winter Count is a primitive skills gathering that has been taking place every February in the stunning Sonoran desert of southern Arizona since 1995. Founded by Dave and Paula Wescott, Winter Count (along with its sister gathering, Rabbitstick) is one of the preeminent gatherings of its kind. Instructors and students spend one week together sharing their enthusiasm and knowledge of skills such as fire making, archery, basketry, hide tanning, pottery, flintknapping, and much more. Winter Count is known for the high quality of its instructors and small class sizes. Winter Count is a "conference " style event that was started for instructors and people in the field of primitive living skills, experimental archeology and survival skills to come together, spend time with their peers sharing knowledge, offering their skills and hopefully, having a good time. Instructors at Winter Count are not paid but instead receive compensation from networking we facilitate during the year, sharing what they have learned, and giving them a place to have a week off from their normal schedules. This year's event will take place FEBRUARY 10-16, 2019. The event has been growing over the years, and last year drew about 630 people, including students, instructors, and camp staff, who camp together, share meals, teach, learn, tell stories, and play music around the campfire. Many of the folks who come to this gathering have been attending for many years, bringing their kids to what has become for them a "family reunion." We are a diverse group of people from many experiences, opinions, family backgrounds, and levels of expertise who come together to share what it is that makes us excited about life. You may find yourself around people that don't share your political, spiritual or life views. Winter Count will be, for its second year, about 30 minutes east of Florence, AZ. Whether you have been to Winter Count before or not, you will want to read ALL the materials we send you so as not to be surprised by all of the changes. The new site is very different from the old site. The elevation is 2600ft instead of 1300ft. We have a beautiful view of the Superstition Mountains, stunning night skies and no neighbors. We will be camping differently than we have in the past; because the desert vegetation at the site is more dense, we will ask you to park in designated areas and camp away from your car.... unless you are sleeping in your vehicle. Also, Check-in happens at the gate and check-in hours are restricted so make sure you are aware when you will or will not be able to enter camp. See the Camp Schedule for entry times. Local flora ranges from palo verde and ironwood to saguaro and barrel cactus. The adage that "Everything in the desert sticks, pricks, bites, and stings" is more fact than fiction. Catclaw, mesquite, jumping cholla, and other pricklies are regular residents. Animal life ranges from toads to javalinas, deer to tortoises, fox, bobcat and much more. Winter Count and SkyEarth are drug, alcohol and firearm free events.